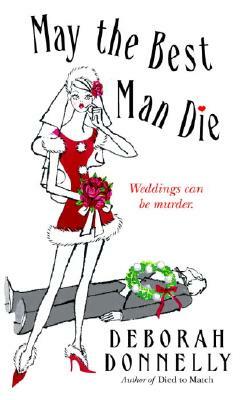 Carnegie Kincaid plans weddings, not stag parties. When a client asks Carnegie to manage a pre-wedding blow-out—complete with a stripper—she tactfully refuses the job. So why is Carnegie peering through binoculars across the Seattle Ship Canal, watching a shapely Santa Claus turn naked inside a hip dockside bistro? Because her own significant other—with whom she is having some significant differences—is at the party too. And, so it turns out, is a killer. When the body of the groom’s best man is pulled from the canal the next day, critical questions arise. What did Carnegie really see through her binoculars? More important: What will she tell the police she saw? As a wedding planner, Carnegie has her connections to maintain, and before she points Seattle’s finest to some possibly innocent suspects, she’ll look into the crime herself. But while Carnegie is snooping around, word of a witness has gotten out—and now a killer is watching her. "A bubbly blend of farcical humor and madcap mystery"